A little over two years ago we found out that The X-Files was being revived as a limited event series with show creator Chris Carter and stars David Duchovny and Gillian Anderson returning. Now comes word that FOX has ordered another run of episodes, with Carter, Duchovny, and Anderson all returning once again. This time around the season will include 10 brand new episodes, and they may be arriving sooner than you think: the plan is to begin filming this summer, for a premiere either in late 2017 or sometime in 2018. FOX has ordered a second chapter of THE X-FILES event series. 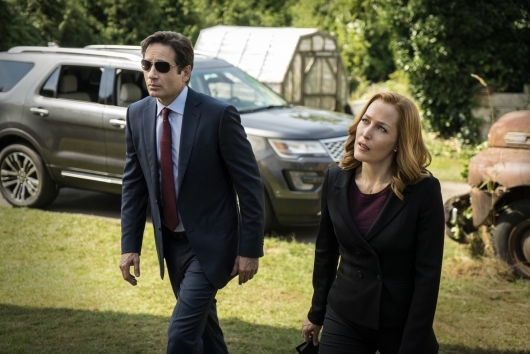 The all-new 10-episode installment once again will be executive-produced by creator Chris Carter, with stars David Duchovny and Gillian Anderson returning in their roles as iconic FBI Agents Fox Mulder and Dana Scully. The event series will air during the 2017-2018 season. Production is set to begin in summer 2017. The six-episode first run of new episodes aired in January and February of 2016, and you can find our reviews of the episodes here if interested.